Take a bite out of local author Dann Woellert’s tasty history lesson. →A self-proclaimed food etymologist, Dann Woellert takes pride in tracing foods back to their roots. 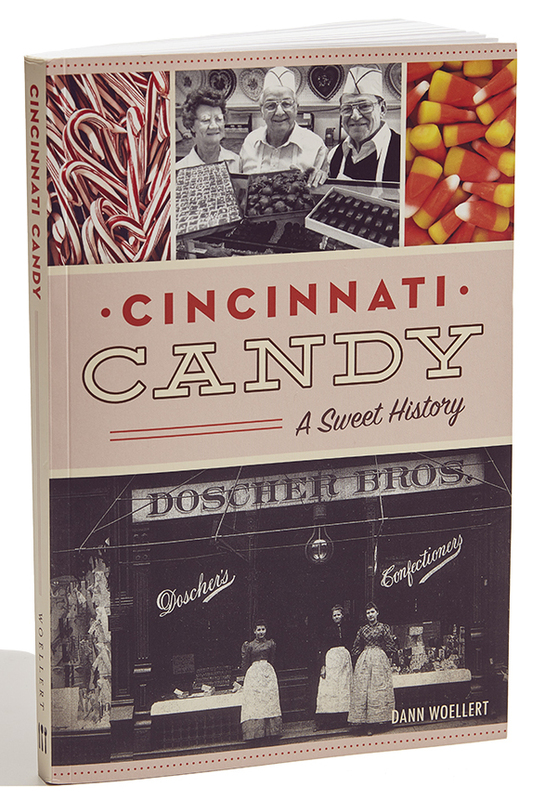 And his book Cincinnati Candy: A Sweet History does exactly that. In the 180-page narrative—surely the sweetest history lesson you’ll ever read—the Queen City native explores his hometown’s confectionery past. From opera creams to French chews to bubblegum baseball cards, Woellert explains how these candies—all invented in Cincinnati—became the popular treats they are today. In fact, did you know the National Confectioners Association was created right here in Cincinnati? Or that the city’s oldest confectionery company, Doscher’s Candies, popularized caramel corn as a baseball concession decades before Cracker Jack made its big debut? Woellert’s trip through our nearly forgotten candyland reminds us that Cincinnati’s food history isn’t all craft beer and bean-less chili.